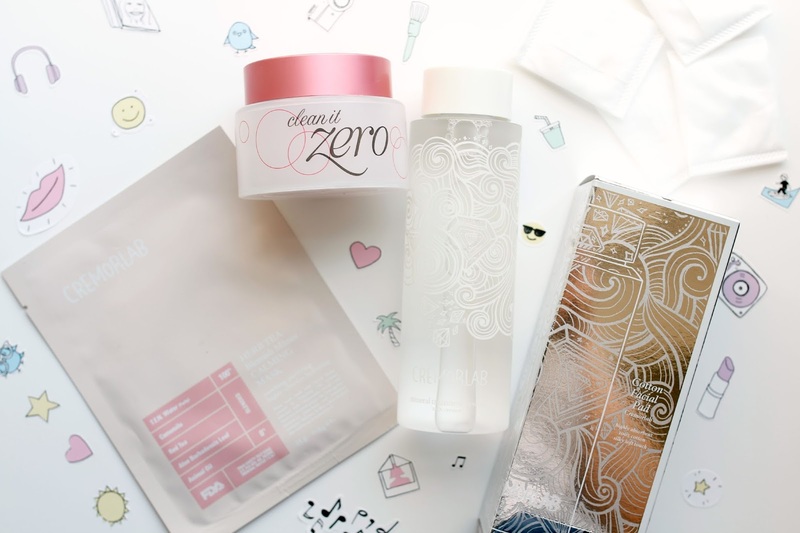 For someone that loves skincare as much as I do, I have hardly tried any Korean skincare. Shocking, I know. I think the challenge is that I just don't know what to try and it seems a bit intimidating. I had heard about Peach & Lily, a website dedicated to only Korean and Japanese beauty and skincare brands, and it made the idea of delving into this world a bit less nervewracking. Alicia Yoon is the founder of Peach & Lily and personally curates the entire site so that it features all of the best and most effective products and brands from Korea and Japan. I was excited when they sent me a bag of some of their most popular products to try. Get ready skincare lovers - this site may become your new favorite shopping destination. 1. 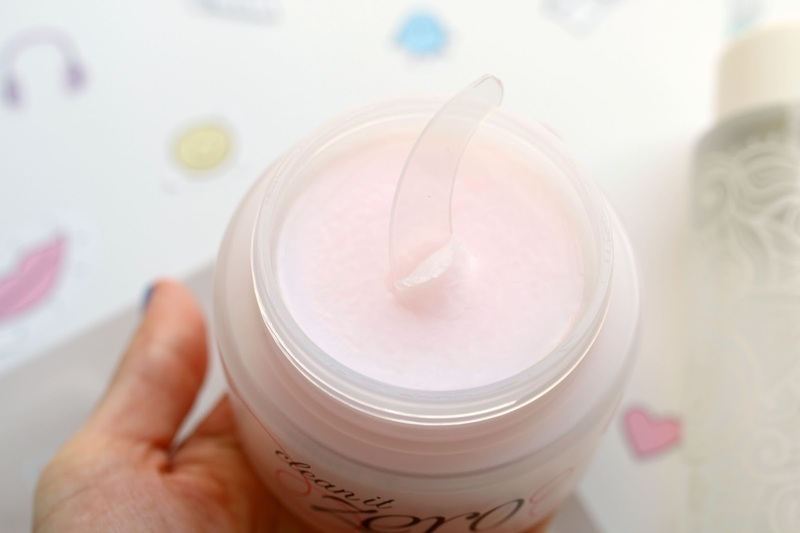 Banila Co. Clean It Zero Cleansing Balm - Clearly we all know by now my obsession with cleansers, and especially cleansing balms. I grabbed this out of the bag as soon as it arrived to wash my face. (ugh, patience is not my forte) They describe the cleanser as being in "sherbert form" when you first touch it, and how amazing does that sound?!!! It's creamy but still has an almost bouncy jelly-like lightness. It's hard to describe but it feels like heaven when on. It immediately melts into an oil on the skin and strips away every last bit of my makeup. Once water is added it dissolves into a gentle milk and my skin is left feeling soft, supple and smooth. Perfect for all skin types and at $18.00 - it is a STEAL!! 2. Cremorlab Mineral Treatment Essence and Cotton Facial Pads - Since my skincare routine is already a million and one steps, I forever love an essence. It is not a necessary step but one that I enjoy adding because of the added hydration benefits my skin receives from an essence. I have been using this for well over a month now and find that my skin is balanced and well hydrated especially now that we are reaching peak sweltering season in NYC. I pour a bit into my hands and press it onto my face after I have finished my toning step. Many have asked about it's comparison to the cult classis SK-II FTE, and though I find the SK-II to be a bit more effective in terms of brightening my skin, this more affordable essence from Cremorlab is a great option to help keep the skin balanced and hydrated. 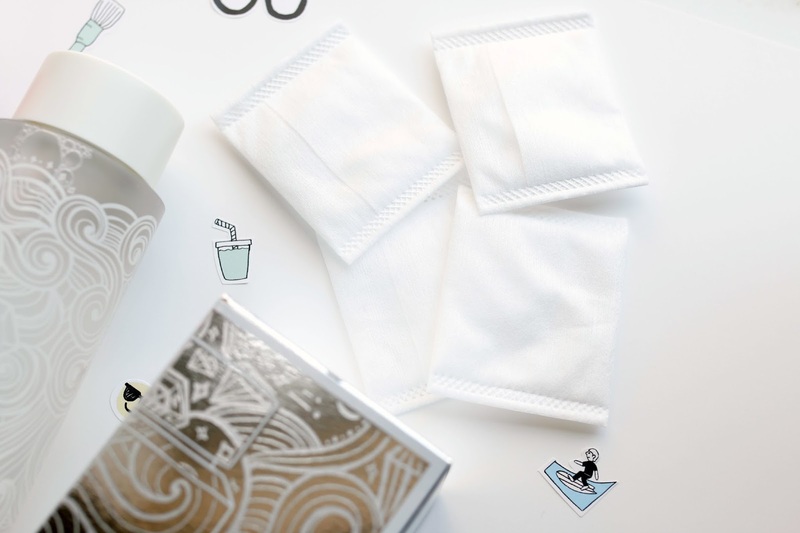 And because I LOVE fancy cotton, I adore these facial pads from Cremorlab which have a little pocket on the outside to put your fingers in which allows better control when sweeping across the face. 3. 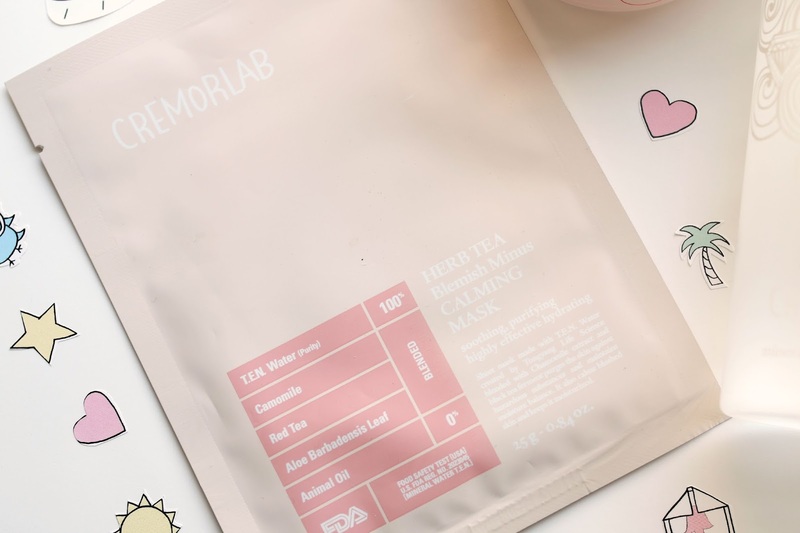 Cremorlab Herb Tea Blemish Minus Calming Mask - Give me a sheet mask and a movie night on the couch and I am the happiest girl alive. This mask came at the perfect time since I was experiencing some light hormonal breakouts on my forehead and chin. I took it out and the texture of the sheet itself is jelly-like and adheres very well to the face. I left it on for 15 minutes, removed it and patted the remaining liquid and residue into my skin. My skin felt hydrated and looked instantly more calm around my blemishes. By the next morning, the spots were significantly reduced and went away within the following 24 hours. I plan to pick up a few more of these for when I travel and need a quick calming mask post-flight to help pull my skin back together! I could spend an hour or more just getting lost on this site and looking at all the great skincare and makeup. Next on my list to try is this snail cream (yes, snail cream! Yay! ), this blackhead treatment and this cushion makeup! 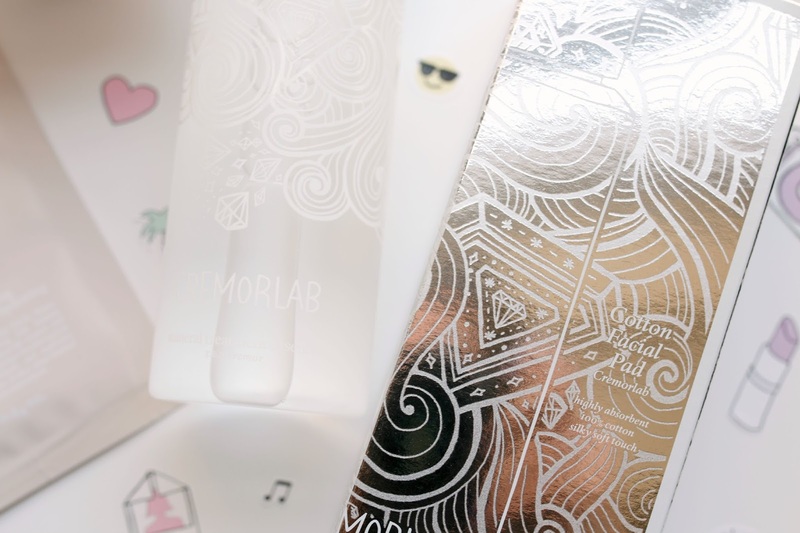 What are some of your favorite Korean skincare and beauty products?!! I would love to know. Leave me a comment below with your suggestions. Face shop core seed essence. Holika Holika aqua max cream. Tony Moly and Etude House have the CUTEST packaging. Not only on their skincare but on their makeup, too. I really love tony moly's bunny lip balms. Some stuff from Tony Moly is actually sold at sephora, though its a bit over priced. And if you're in NYC just hit up ktown. They have tony moly, nature republic, the face shop, and I'm sure other things I didn't mention. I just went there for vacation and hit them all up. I like to use the Laneige water sleeping pack after doing a peel or a deep cleansing mask.